In these gigs I will provide you Fully German SEO services that ranks your website keywords on Google.de and another local German search engine. For $50 I will provide you 200 Quality German Directory submission services that boost your website traffic. By using our German SEO services your website easily indexed by local German search engine.that means your website gets local visitors or traffic and also increase in your Business sales. 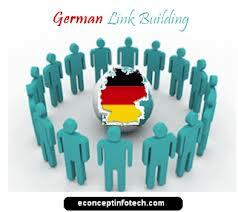 I will provide German SEO Services at Affordable prices is ranked 5 out of 5. Based on 3 user reviews.